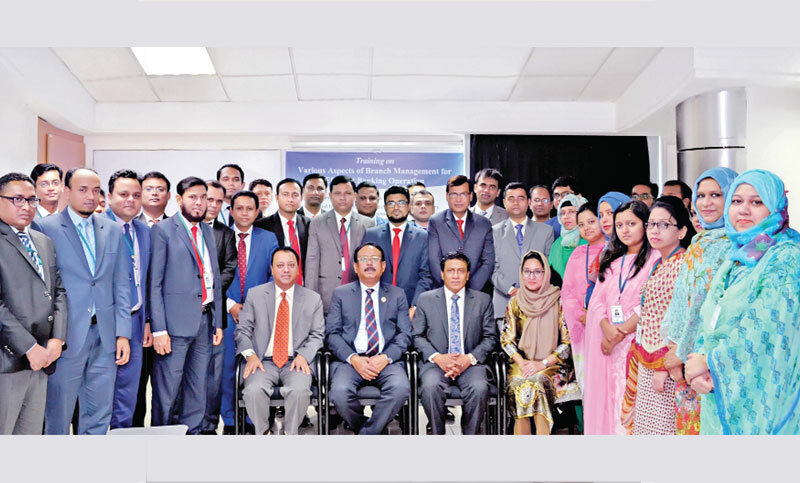 Mercantile Bank Managing Director and CEO Md Quamrul Islam Chowdhury poses for a photo with participants of a training course at its training institute in the capital recently. Mercantile Bank organised a day-long training course on ‘Various Aspects of Branch Management for Efficient Banking Operation’ recently. About 40 officers from different branches of the bank took part in the training course, said a press release. Md Quamrul Islam Chowdhury, Managing Director and CEO of the bank inaugurated the training and delivered the speech highlighting the importance of maintaining good relationship with customers. Javed Tariq, Principal of MBTI, also present in the programme.